Our hands do so much for us. They talk. They touch. They hold. They feel. They're strong but sensitive. Sometimes we've got the whole world in them. So let's give them a little love. With a capital "G". Gloves offer so much more than just warmth on a cold day. They're the last thing we put on, but the first thing people notice. They can finish an outfit, but start a conversation. They're warm and oh so cool. That's why a pair of leather gloves is the perfect statement. Functional and fun. Sensible and sensuous. Naughty but very nice. A world of luxury that doesn't cost the Earth. So why not indulge yourself a little? All you need is glove. 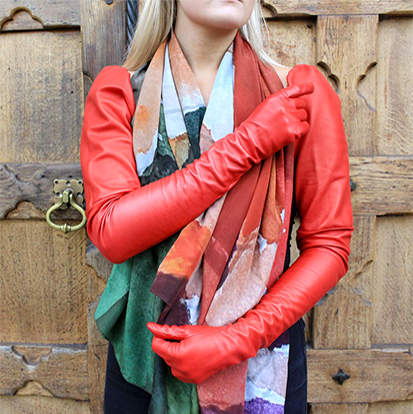 Paula Rowan gloves are made from the finest quality lambskin, and stitched in Italy to Paula’s own designs. Different linings and trim can then be added, from silk and cashmere linings to fur trim and buttons or studs. While it is possible to use machinery, the highest quality gloves are those that have been hand-stitched, which is why we produce only hand stitched leather gloves.Unlike leather for belts, bags or shoes, leather for gloves needs far more care and attention. Shoe leather, for example, can be treated with all manner of chemicals, and this gives the leather a uniform look. Glove leather, on the other hand, needs to be able to retain its natural elasticity, therefore harsh tanning methods simply cannot be used. 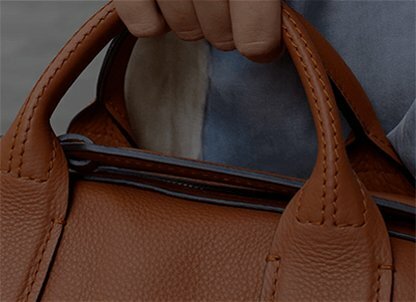 The beauty of using only natural products means that the glove leather retains more of its individual characteristics. This softer leather conforms to the shape of the hand, meaning the wearer's gloves will become perfectly tailored for their hands and their's alone. Once the hides have been prepared, they are then dyed before being cut and stitched in Italy. This is done by master craftsmen, who have trained for seven years to learn this niche artistry.